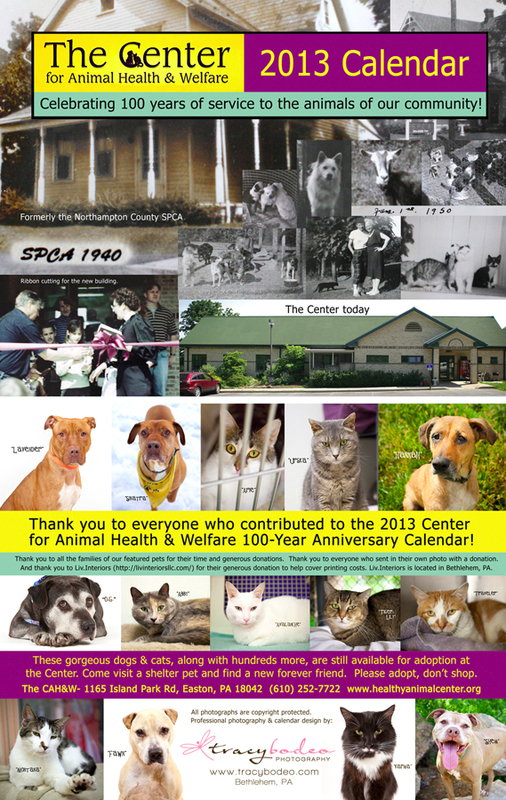 ← Only 3 weeks left to get your pet’s picture on our CAHW 2013 calendar! ; Pet photography by Tracy Bodeo, Lehigh Valley portrait photographer. Posted on November 13, 2012, in Charity Events, Pet Adoptions, Pet Photography, The Center for Animal Health & Welfare and tagged 100 Year Anniversary, Bethlehem photography, cat adoptions, cat portraits, dog portraits, former Northampton Co. SPCA, fundraiser, Lehigh Valley pet photography, pet adoptions, pet portraits, The Center for Animal Health & Welfare, tracy bodeo photography. Bookmark the permalink. Leave a comment.